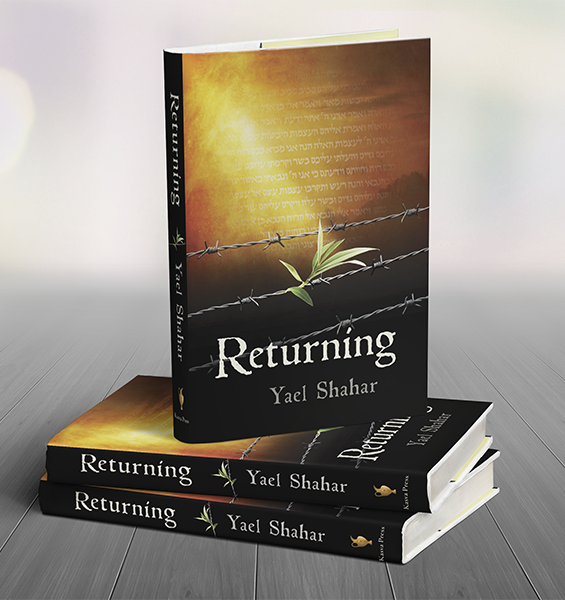 In lieu of a Parashah article, this week I bring you a piece by Ovadya ben Malka, whose journey of t’shuvah from Birkenau to Israel has been told in Returning. Ovadya once asked Rav Ish-Shalom if the two of them could learn Massechet Ta’anit together. “In Saloniki, before the war,” he said, “I studied with others my own age in a tiny back room of the Bet Knesset. We read Masechet Ta’anit under the direction of a young scholar not much older than we were. It was like dipping into an ancient and deeply-buried river, whose waters were continually renewed by the study and wonder of people like us. We went over arguments about when one should pray for rain, what it means if there is no rain, and how that becomes a matter of more than just the vagaries of nature…. How many others had gone over these things throughout the ages, with each generation taking what it needed from that source and perhaps subtly altering the course of the river? And so, the journey began. Our story takes place on page 4a of Massechet Ta’anit. א”ר שמואל בר נחמני אמר רבי יונתן שלשה שאלו שלא כהוגן. לשנים השיבוהו כהוגן, לאחד השיבוהו שלא כהוגן. ואלו הן אליעזר עבד אברהם ושאול בן קיש ויפתח הגלעדי אליעזר עבד אברהם דכתיב (בראשית כד-יד) “והיה הנערה אשר אומר אליה הטי נא כדך וגו’.” יכול אפי’ חיגרת אפי’ סומא! השיבו כהוגן ונזדמנה לו רבקה. Samuel b. Nahmani said in the name of R. Yonatan: Three [men] prayed inappropriately. Two of them were answered appropriately [were fortunate in the reply they received] and one was not. They were Eliezer, the servant of Avraham; Shaul, the son of Kish; and Yiftah the Giladi. Eliezer, the servant of Avraham, as it is written, “So let it come to pass, that the maiden to whom I shall say, ‘Let down your jar etc.’” She might have been lame or blind, but he was fortunate in the answer given to him in that Rebecca chanced to meet him. I wasn’t sure what to answer him. “Three people prayed ‘lo k’hogen’—inappropriately…” I was reminded of a cold spring morning in 1943…. 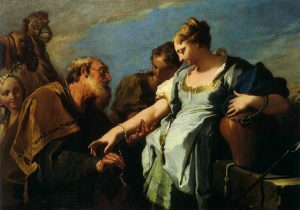 Pittoni, Giambattista – Eliezer and Rebecca – 18th c. Creative commons. “And of our responsibility….” I said. I suddenly realized that I had strengthened his argument, rather than my own. The actions themselves of the person constitute the reward in Olam Haba. After the soul departs from the body it rises to take pleasure and satisfaction with the light, energy, and worlds of Kedusha (Holiness) that have been added and multiplied by his good actions. This is what the Sages meant when they said that “All of Israel have a portion to the World-to-Come [We translate it as in the World-to-Come, but the literal translation is to the World-to-Come] and not in the World-to-Come. “In” implies that Olam Haba is ready and waiting from the time of Creation, as if it were something with a separate existence, and if man warrants he will receive a portion of it for his reward [like a piece of candy waiting in God’s pocket to be given to whoever deserves it]. In truth, Olam Haba is [made up of] the actions of the person, which he expanded and added and perfected into a place for himself [to dwell]. I thought about this and Rav Ish-Shalom gave me some space to track my slow thoughts. 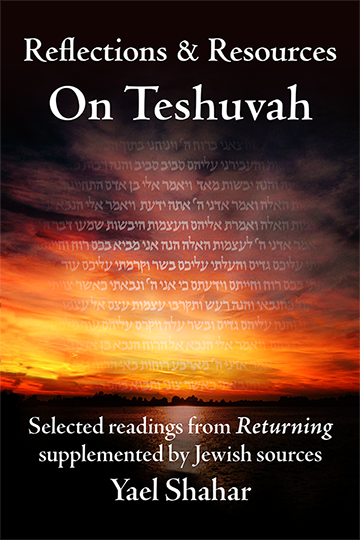 Was Avraham not also searching for certainty by turning the tables and testing God? Our time was up and we parted with the question hanging there between us. On the way home, I thought of a passage by the naturalist Loren Eiseley…Something about the human need for certainty as a search for meaning. I knew how critical is our need to find meaning in our lives; sometimes it makes the difference between life and death. Certainty—or at least some level of security—is a prerequisite for all life. So why should it be “inappropriate” for us to ask God for certainty, for portents from the heavens? Perhaps, as the great naturalist said, the lesson is not to look outside ourselves for portents of certainty, but instead to learn to trust the wisdom of our own hearts. Our surroundings can influence us in many ways: they can even turn us against ourselves. We possess a clear moral compass as to right and wrong, if only we can tune out the din of circumstance shouting that bad is good and good is bad. Our choices matter, because we—perhaps alone of all animals on Earth—are self-determining. By our choices, we create our own future, and thus our quest for certainty must lead within ourselves. 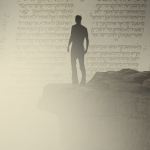 So, what of Eliezer and his quest for certainty? I guess he just got lucky.